When you’re involved in an accident or fall from a great height, it’s natural human instinct to protect your head. There’s a reason for this. The brain is an essential organ that controls your movement, thoughts, personality, and ability to communicate with other people. For this reason, a traumatic brain injury (TBI) is one of the most serious injuries you can get when involved in an accident. TBIs can impact every aspect of your life with injuries ranging from mild to serious. Some of the lingering effects of a TBI can stay with you forever. 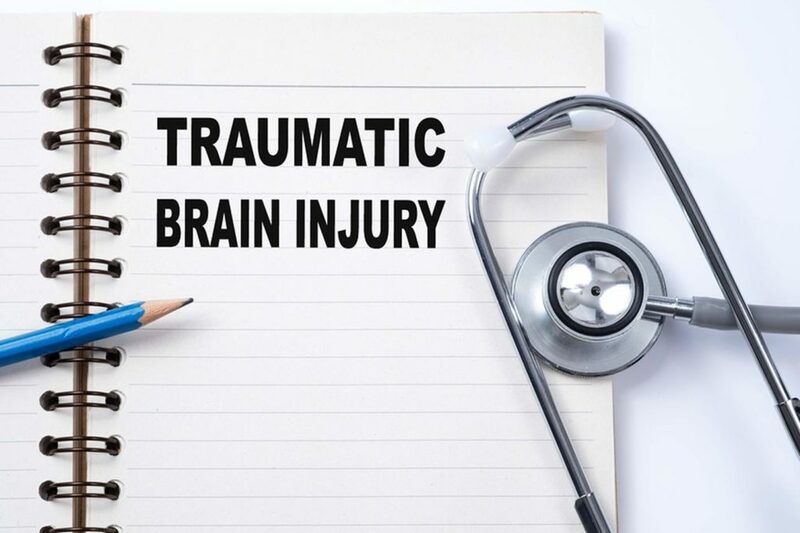 A traumatic brain injury typically results from a forceful blow to the head or from something that penetrates the skull (like a bullet or a piece of shrapnel) and damages the brain tissue. A TBI can be classified as mild, moderate, or severe, and the symptoms and recovery time vary for each individual injury. One of the most challenging aspects of a TBI is that symptoms do not always present immediately. Sometimes, it can take hours, days, or even weeks to identify the possibility of a traumatic brain injury. Especially after an accident, when adrenaline is running high, a headache or confusion can be attributed to the stress of the incident. Therefore, it is always advisable to see a doctor after an accident, even if you don’t think you have any serious injuries. Medical personnel can fully assess the damage and look closely for signs of a TBI that you may not identify. Car accidents. Those who have been in a car accident are often at risk of a TBI, especially when they experience whiplash or a forceful blow to the head. Slip and fall accidents. A TBI is one of the most common injuries that people experience after a slip and fall accident. Slipping on a wet surface or tripping and hitting your head are all actions that could result in a TBI. Typically, in a slip and fall accident, the impact is sudden and without warning, giving the victim little opportunity to break their fall. A serious impact to the head can result in a TBI. Bicycle accidents. Many people around Orange County take advantage of the sunny days and head out for a bike ride. Some people opt to commute to work, others enjoy a ride as a part of their exercise routine. If you are riding a bike, hopefully, you are wearing a helmet. Even so, in the event of an accident, it can be difficult to control your landing. When a larger vehicle hits a bicycle rider, the force of the impact can throw the bicyclist onto the street or into another object. Depending on the point of impact, a TBI can occur. Motorcycle accidents. It’s not unusual to see motorcycles throughout the roads of Southern California. With the extended coastline and pristine highways, this is an ideal place for riders all over the country to plan a road trip or spend a day on their bike. Unfortunately, motorcycle accidents sometimes happen and when they do, it is usually the person with the least amount of protection that fares the worst. A traumatic brain injury is relatively common in a motorcycle accident, especially when the rider is rear-ended and has little time to react to the impact. Even those who wear a helmet often experience a severe rattling of the head, which can lead to a TBI. If you were injured in an accident and believe that you are displaying symptoms of a TBI seek medical help without delay. After you have discussed your injury with your doctor, call an experienced personal injury attorney in Orange County to learn more about your right to fair compensation. A brain injury can result in both physical and mental impairments. One of the most difficult impacts to come to grips with is a change in personality. People who experience this often find themselves depressed and socially isolated from the people they once easily connected with. While there are support systems available, the economic and non-economic damages from a TBI can feel completely overwhelming. Between the mounting hospital bills, extensive testing and treatments, and inability to connect with loved ones, this is one of the most debilitating injuries. The difficult part is that it is impossible to fully predict the extent of the recovery. For this reason, it is advisable to speak with an experienced lawyer who can help to outline the total damages and begin the process of requesting compensation for your losses. The aftermath of a TBI can be incredibly difficult for both the accident victim and their family. At Aitken Aitken Cohn, our legal team has built a solid reputation for assisting those who have been injured in devastating accidents such as a traumatic brain injury. We are dedicated to helping our clients fight for just compensation for their losses. If you are unsure of your options, call us today for a free consultation. We will go through the details of your specific case and help to determine next best steps. Call us at (714) 434-1424 or contact us online to schedule your no-charge initial consultation today.